Wahweap Campground is located just off of 160,000 acre Lake Powell, named after Major John Wesley Powell, who led the team who explored the Glen Canyon, Marble Canyon and Grand Canyon in 1869. The town of Wahweap offers most amenities, but just in case you can't find what you are looking for, the city of Page is just a few miles to the south. Lake Powell was created by impounding the water of the Colorado River by the Glen Canyon Dam. Numerous species of fish inhabit the lake, including both smallmouth and largemouth bass, striped bass, crappie, channel catfish, sunfish and walleye. 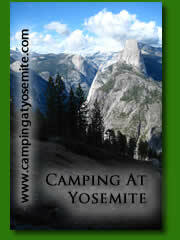 The campground consists of 180 campsites and is open all year. Campers have full use of the Lake Powell Resort, formerly Wahweap Lodge.. Showers are available and free on site. There is a coin operated laundry facility on site. Local Activities include Colorado River trips down to Lee's Ferry in Marble Canyon, Lake Powell boat tours, Dinner cruises, and on land there are several eateries nearby including a pizzaria, coffe shops and Lake Powell Resort. From Page, travel north on Hwy 89 across Glen Canyon Dam to the Wahweap exit. follow the signs to the campground.